Day two of the album countdown, and again there's not an awful lot to say really. Again, these are the Top 25 Albums of the year according to myself at Keep Pop Loud. It's a personal opinion, but you knew that already. I'm happy to accept all bile in the comments section. If you like this list feel free to check out the other End of Year coverage such as the Top Five Gigs, Top Five Compilations, Top Five EPs, and the Track of the Year. Part One of the Albums Countdown (#25 - #16) is here. 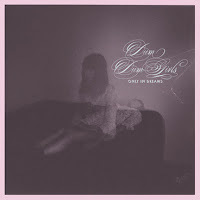 With a full band and melding of Phil Spector and C86 Dum Dum Girls kicked the tinny lo-fi of their debut into the long grass. 'Bedroom Eyes' may dominate for the first few listens, but that's not to detract from the longing of 'In My Head' or the emotionally heavy swirl 'Coming Down'. It's that deceptively simple sounding combination of girl-group vocals and guitar reverb that refuses to grow old. 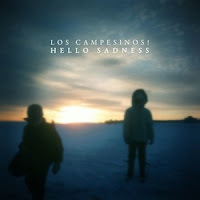 There's not a huge amount to say about Hello Sadness that's not already been said. Not quite up to the very high standards of Romance Is Boring, it still packed an emotive punch with the title track and gave them their catchiest ever song with 'By Your Hand'. It's great to see that they can do big pop moments still, and with their productivity rate as high as it is, you just know they'll be building on this very soon. 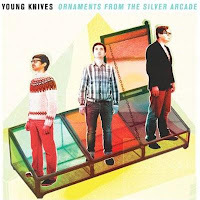 Coming back to Ornaments... feels like listening to an album made by a band with a theoretical knowledge of pop music, but no first hand listening. In reality it's more of a sideways take on the genre, smoothing off the rough edges and playing with bass synths for a slicker finish but singing about nuns and transsexuals. Still smarter than your average but very fun too. There's little in music, or life for that matter, that's as fun as Dananananaykroyd. But sadly the Danas split this year just as it felt like they were on the cusp of taking over the world. There Is A Way was much bigger and snappier than their debut ever hinted that they could be and they capitalised on all the record promised with some excellent live shows. They'll be very much missed. 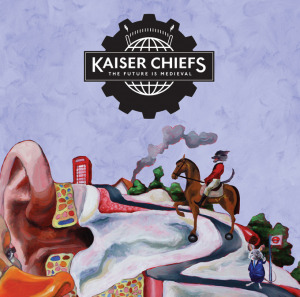 Believe it or not, Kaiser Chiefs fourth album is actually rather great. Easily their best since Employment and possibly their career high. 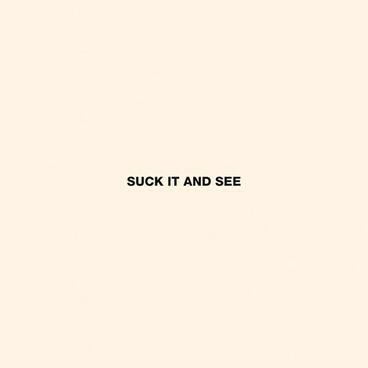 More refined and engaging with a plethora of pop sounds, it seems to hark back to what kids born in the '70s would figure music to really be about. Although, if you've already decided against them you're unlikely to change your mind. It's your loss, as this is endlessly listenable. Although impossible to pigeonhole, most people seem to have settled on calling Ghostpoet 'trip-hop. 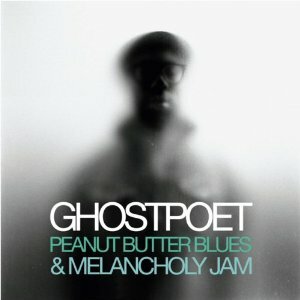 Whichever way it goes, no other album in 2011 was as good at creating an atmosphere as Peanut Butter Blues. As easy as it is to get lost in, it's perfectly possible to appreciate the record completely just by letting it wash over you. The lyrics resonate deeply with anyone stuck in a difficult place during this never ending economic cluskterfuck. 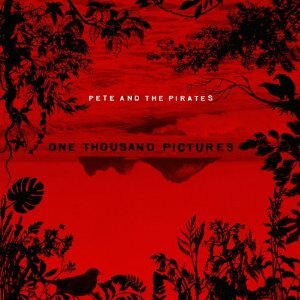 Pete And The Pirates don't do filler. If they're releasing a song then it's of the highest quality. One Thousand Pictures arrived over three years after debut Little Death and understandably showed us a band evolved. Not beyond recognition thankfully, with the motorik rhythms of 'Come To The Bar' complemented by the heart-in-moth vocal of Thomas Saunders. 'Cold Black Kitty' was more familiar and the album hangs together as a fantastic whole. They have absolutely nothing to prove now, and I doubt ever will have to again. Older folks may baulk at the suggestion that Alex Turner is up there with Morrissey, Ray Davies et al in the list of greats, but that's their prerogative. The Submarine soundtrack provided a wonderful taster of what was to come on the Monkeys fourth full album but, even so, the band surpassed all expectations, crafting some of their strongest melodies yet. 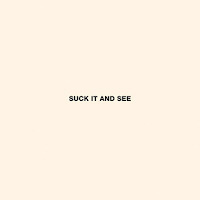 It's been noted that Turner's lyrics are becoming more abstract, but there's not been a line this year as evocative as “She looks as if she's blowing a kiss at me / And suddenly the sky is a scissor”. Not quite the debut of the year, but damn close. From opening radio hit 'Get Away' to closing epic 'Rubber' there's not a moment where the excitement drops. Acoustic numbers are handled as well as the full blow grunge anthems and with 'Georgia' Yuck have one of the purest shimmers of summery indiepop that has ever come this way. It's so difficult to pick a favourite from this album and more can't come soon enough. 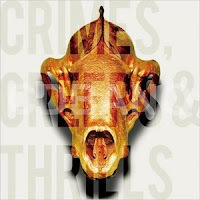 There's an extraordinary hit rate on Crimes, Creeps & Thrills which belies the fact that nowhere near enough people have been getting excited about You Animals this year. On release Keep Pop Loud was quoted as saying “It's brilliance will slay you!”. I stand completely buy that and will guarantee that anyone after pop thrills will not come away disappointed from this record. Fizzy, anthemic and definitely awesome.